Q-Trunk is a nationwide radio trunking network operating in South Africa. Its expanding voice and data communication service is provided to transport fleets of all sizes – from small businesses to the large transport companies carrying long distance freight.Q-Trunk’s radio trunking enables companies to monitor the movement of their vehicles quickly and easily, thus reducing operational costs and increasing response time. Radio trunking involves the transmission of voice and data beyond the geographical and physical limitations of base stations and handset coverage. Due to the nature of radio trunking, the interconnect lines between the Regional System Controller and the Local System Controller form an integral part of the backbone equipment. This means that an effective service cannot be provided unless voice and data interconnection between trunking controllers and nodal switches, and between nodal switches and the system controller, is reliable. 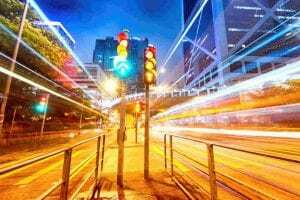 In fact, the reliability of this interconnection is critical to the efficient operation of the network. The cost of analogue lines make it expensive to route a number of circuits to every base station. Also, because these circuits aren’t managed efficiently, the downtime of analogue circuit failure is lengthy. Consequently, the logical choice was for Q-Trunk to convert to a digital service capable of interfacing to the existing analogue trunking controllers. However, before this could be achieved certain criteria had to be met. In most compressed voice applications, inter PBX or telephony signalling conditions need to be handled by the transporting hardware. In order to meet Q-Trunk’s demands, Case Communications had to develop an extension to their broad range of signalling techniques which are designed to be used in radio trunking. Because Case Communication’s Service Access Platform is highly efficient at compressing several voice channels it was deployed to meet Q-Trunk’s demands. The solution was to strip out the inter-system signal and transport it outside of the audio signal as separate digital information. The information could then be transported digitally through several nodes until it reached the remote destination where a tone generator was used to regenerate the signal before sending it to the mobile radio equipment. 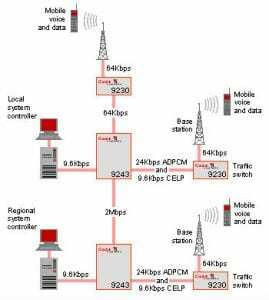 Another major factor was the ability of the Service Access Platform to carry voice and signalling calls over CELP and ADPCM circuits without any degradation. This flexibility added tremendous value to the controllers who depend on call maintenance tones to maintain calls in progress – thus reducing costs and maximising profit. Ultimately, it was a case of looking at the opportunity and implementing a development plan designed for business needs… not technology’s sake. Control Management of all circuits is placed directly in Q-Trunk’s control, limiting the amount of dependence on the service bearer. Equipment faults are reported via the management station and action can be taken even before customers realise that a problem has occurred. Efficiency Optimised use of expensive WAN links by compressing voice without compromising quality. Reliability A fallback facility adds reliability to the service Q-Trunk can offer its customers. This is achieved by automatically re-routing critical data in the event of line or equipment failures. Case Communications is an information technology company specialising in networking products for the efficient integration of voice and data. We are a leading manufacturer of networking products in Europe. We have over 25 years experience in the design and manufacture of award-winning products. Through our authorised partners we are able to provide networking solutions and support for our customers wherever they may be.